OH MY GOODNESS! That’s what I said when I tasted my latest recipe, Seared Scallops in Saffron Sauce. until the beans are hot and the spinach is wilted. Keep warm. Blot the scallops dry with a paper towel and season with salt and pepper on both sides. Into a nonstick pan, melt 2 tablespoons butter and olive oil. Add scallops and sear for 2-3 minutes per side, careful to turn only once. Remove scallops from pan and keep warm. Add wine to hot pan and reduce temperature to medium – low to allow wine to reduce by half. Add cream, remaining butter and allow to combine. Once butter has combined, add saffron threads. Stir well to combine. Add the lemon juice to the beans. Season with salt and pepper. Return scallops to pan. Turn to coat. 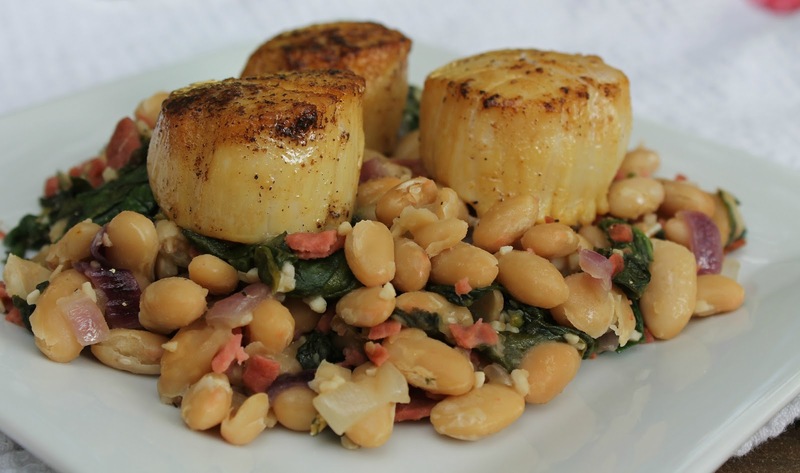 Divide the beans among bowls or plates and top with scallops. Serve on top of beans. 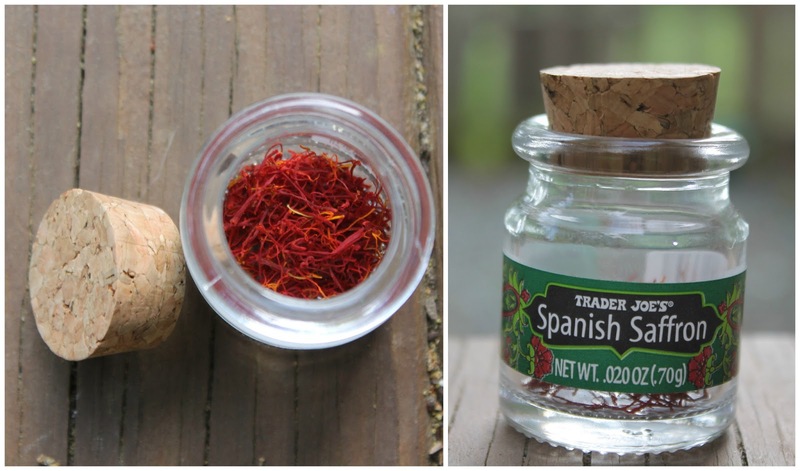 Note: Spanish Saffron is not inexpensive. I found a bottle for $7 at Trader Joes. Oh Christina, this looks delicious! Look at how plump and moist those scallops look and THAT sauce. YUM! I love love love seared scallops! I'll have to try the sauce. Yum. Those look amazing! I love scallops and I love Trader Joe's 🙂 I had a very, very similar dish here in Charleston recently at Anson. These look delicious! I am going to try them asap – yum! Mmm this looks divine! I'm pinning this for future use 🙂 I've bought that Spanish saffron before too. It is expensive, but the bottle is so cute in the spice rack! These sound delish!! I must try this recipe!! This sounds absolutely amazing! I've never cooked with saffron before, mostly just because I felt silly spending so much money on a little thing for a recipe I wasn't certain about, but your post convinced me this is a must-try! 🙂 Thanks, Christina! YUM! Totally trying to convince my husband to make me these as we speak. Yum, this looks delicious! I might have to give these a try this week!